Two bracelets for the price of one! One side is predominately green, and the other is mostly blue. 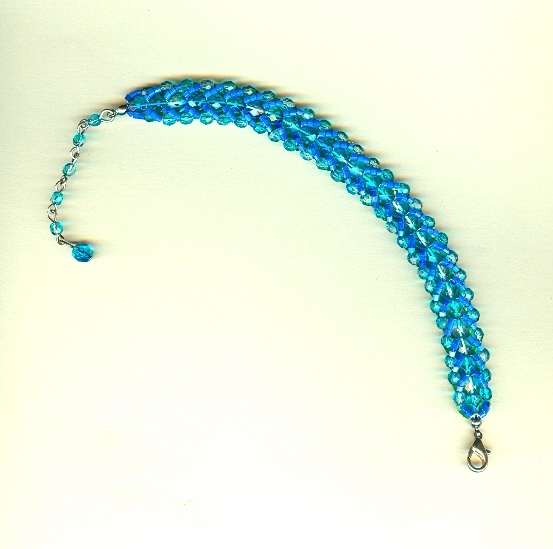 This is achieved by a clever needleweaving technique using satin finished seed beads and two-toned fire polish crystals. The bracelet closes with a silver plate lobster claw and extender that gives it a working length of from 7-1/2 to 9-1/2 inches. 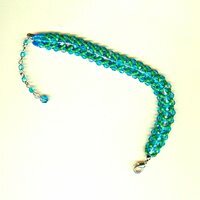 It?s another versatile bracelet beauty from SPARKLE PLENTY. This fashion necklace features blue lace agate in a whole new light. Blue lace agate is usually a pale, dreamy shade of blue. Beautifully mottled apple green faceted turquoise beads are flanked with lacy silver plate bead caps in this dynamic necklace.